Anyway, I’m just about to close up the computer and fraddle around with my boys. I’ll post a picture of the maze soon (it didn’t turned out AT ALL like I planned… but the boys like to run around in it… it’s more like a weed maze than anything else). :) I hope you have a WONDERFUL weekend of fraddling with and for the people you love!! See you on Monday (if not sooner)! Btw, I’m doing a test run on a new “contest” wordpress plug-in I installed… getting ready for my 40th Birthday Bash! Would you mind helping me test the plug-in by leaving a comment below? You can just write “Hi” or “test” if you’d like. :) Thanks! Btw, have you seen all the GREAT things that are going to be given away?? Check them out HERE! update: I added photos of the maze (and other things from today) to SomeGirl’sWebsite’s FB page. :) Hope you enjoy seeing them! Yep, you’re in the right place! :) Thanks, Girl! It sounds like you are having the perfect friday. Enjoy the rest of your weekend fraddling! We’ll have to do a drive by to see which house…I would love to be your neighbor! Sounds like you are having a great day :) I meant to mention to you on your 40th post that our b’days are a day apart and I’m turning 40, too! And you know, I read your intro as DUH-duh-du-duh-DAH!! in that ominous tone. Couldn’t figure out how that led to ‘hammock time’ if something bad hadn’t happened. I’m such a goof! That’s funny! Yeah, come over next week… we need to hang out! :) Btw, are you guys free the last weekend of July? I’m thinking about having Z’s bday party Sat the 31st. Your website looks so great! Have you changed it recently? Maybe I’m just relaxed as I look at. Have a great fraddling Friday. And I’ll do the same! Have a great birthday! I’m seven years into the 40s and they’ve been some of the best years!! And thanks for the birthday wishes! It’s at the end of August, but I’m having a big giveaway here to celebrate (August 23rd-27th) and I’m getting things in order for it. What a fun post! Talk about the lazy, hazy, crazy days of summer! (oh, nevermind. it’s an old song. 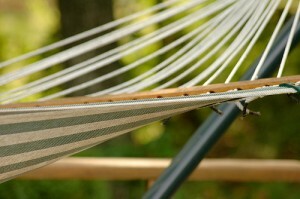 :-) I could just picture you all outdoors with the hammock, butterflies, just plain summertime R&R. Sorry your good neighbor is moving away. I’ll check out that maze, if it works without FB. I’m not a FB or Twitterer. Have a great weekend! Get out a water slide. Your diapered little one would love it! LOVE those photos!!! Is there a way to ‘slideshow’ them? Cute, cute! Hey, friend!! Testing!! =) Can’t wait for your birthday bash! Love ya! Hi Rachel! Would you mind telling me if you get this as an email? I’m adding numbering to my comments and am not sure if the e-mail reply is still active. :) Thank you! Got it!! =) Just like normal!! I think I am- wah! I am the 27th. Woot woot! I see the threaded numbered comments are working. So glad my post was helpful. I love your nice clean layout. So refreshing to come here and find an uncluttered site. You probably already have enough comments to check, but commenting on this one isn’t too hard this early in the morning ;) Hope you have a super day! I WANT A HAMMOCK!!!! Sounds like a wonderful way to spend the afternoon! Love that you’re so disciplined about your computer time. I don’t think I got to comment on that post, but thank you for your explanation. I am thinking of how I can incorporate that into my day. Come by and see my new blog design when you have time. SO happy! My hubby switched me to Wordpress :). With all your free time now that you’ve switched your laundry schedule I think you NEED A HAMMOCK!! ;) lol Your blog looks GREAT!!! LOVE The new look! Way to go, hubby! !